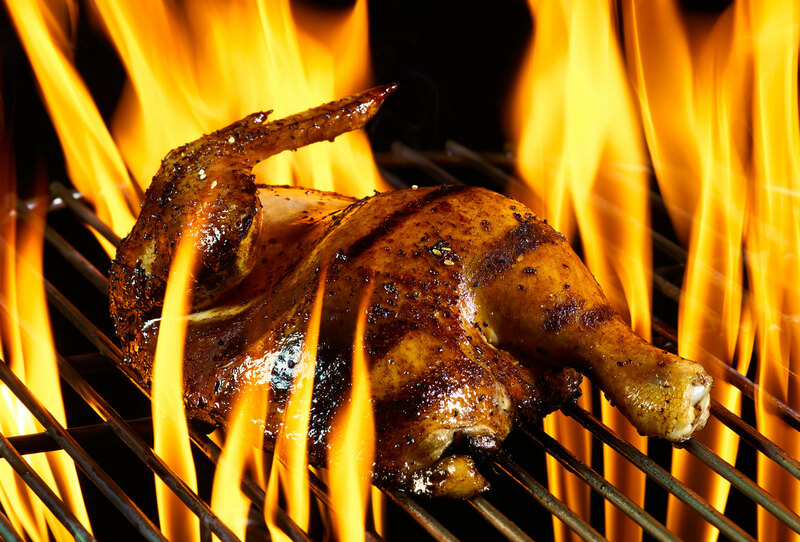 Flaming chicken over grill. Captivating food photography by Joe Brooks. Industry leading food and beverage photographer in Florida.